I’m a little later than usual with my round-up of vintage finds for the month. 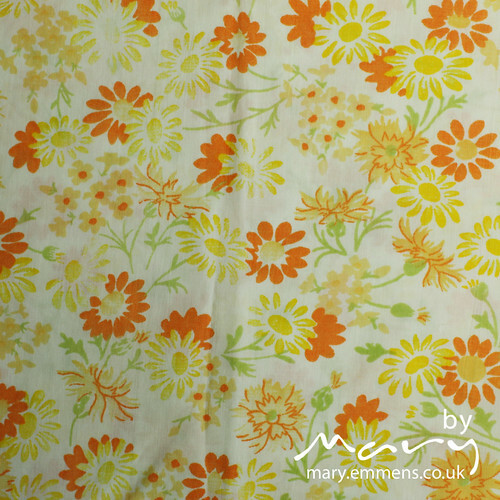 This was once a vintage sheet but had been cut and hemmed and used I’m guessing as a tablecloth, my husband found them in the fabric bin in the charity shop, 3 pieces in all. One piece was labelled and it confirmed that it was once a twin flat sheet made in the USA. This print here is a pillowcase found only last week but I’m using it to fill out this blog post! A pile of gorgeous vintage sheet fat quarters sent by Veronica from the USA for the vintage sheet swap that I’m organising. The cut off date for FQ’s to arrive with me is this Friday 18th January. 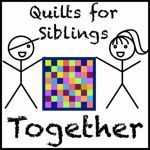 So if you want to join in you’d better be quick, there is a fantastic selection of vintage sheet FQ’s stashed in a box under the bed that have been sent in to me and are ready to be swapped and sent back out. The flickr group is here if you want to join in or just spy on the wonderful selection of sheets that are being swapped. 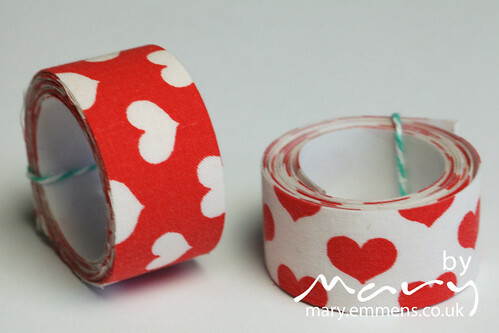 Yes, all ready for Valentines day, vintage valentines fabric tape, unique and handmade with love by me! 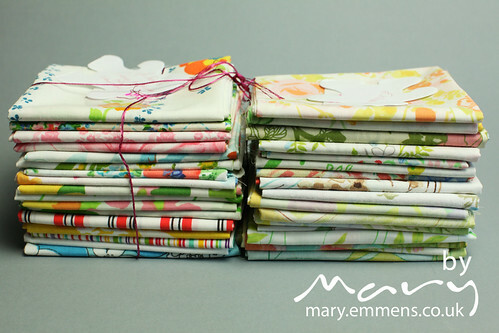 That pile of FQs is just so pretty! Pretty pretty pretty. I love both of your VS finds Mary! Gorgeous as usual. Thanks for photographing my VS Swap FQs too, I always love your photos ;D. OH! 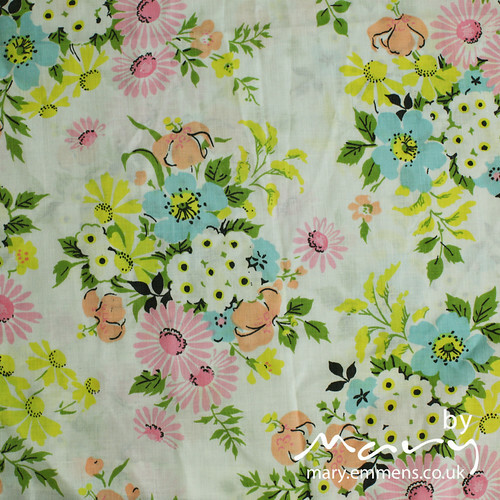 And I LOVE that fabric tape, it’s so adroable :D.
Oh cool, love that tape! Now does it come with a valentine?